. 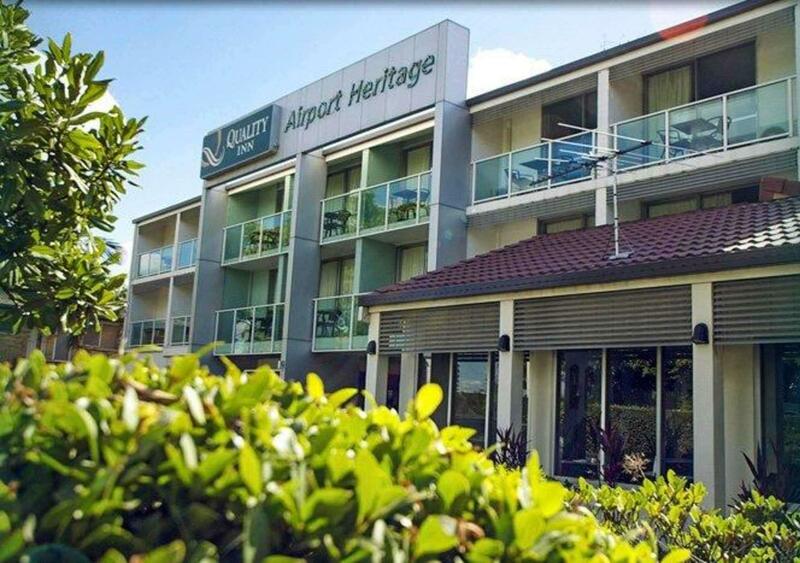 إن Quality Inn Airport Heritage Motel حريص على توفير الراحة للنزلاء، فلا يوفر الموظفون جهداً في تقديم أفضل الخدمات وضمان حسن الاستقبال. يمكن الاستمتاع بمجموعة من الخدمات على أعلى المستويات في الفندق كمثل تسجيل وصول/خروج سريع, تخزين الأمتعة, واي فاي في المناطق العامة, صف السيارات, خدمة الغرف. تنعكس أجواء Quality Inn Airport Heritage Motel في غرف الضيوف.تلفزيون بشاشة مسطحة, بياضات, مرآة, مناشف, اتصال لاسلكي بالإنترنت هي بعض الميزات الموجود في العديد من الغرف. يمكنك طلب اللائحة الكاملة للخدمات في الفندق ومن بينها مركز للياقة البدنية, حمام سباحة خارجي, حديقة. مهما كانت أسبابك لزيارة المدينة، فإن Quality Inn Airport Heritage Motel هو الخيار الأفضل لإقامة مثيرة وممتعة. مكتب الاستقبال مفتوح من الساعة 7 صباحًا إلى 9 مساءً في أيام الأسبوع العادية ومن الساعة 8 صباحًا إلى 9 مساءً ومن 8 صباحًا إلى 8 مساءً يوم الأحد. وعلى النزلاء الذين سيصلون في غير الأوقات المذكورة الاتصال بالموتيل مباشرةً قبل 24 ساعة على الأقل من موعد تسجيل الوصول لمعرفة تعليمات استلام المفتاح. يوفر الموتيل خدمة النقل بالحافلة (طريق مباشر) إلى مطار بريسبان. وتعمل هذه الخدمة كل ساعة من الساعة 04:30 صباحًا إلى الساعة 09:30 صباحًا. توجد مرافق لصالة الألعاب الرياضية عبر الطريق من الموتيل. We booked this 2 bedroom unit as we were flying out the next morning. The one aircon in the apartment was so old it didn’t cool anything the place was dirty, the door to the balcony didn’t lock and I asked for disabled access and was put on the second level. Staff were helpful. Room was clean and comfortable and close to food shops. The property is old and tired, Access into is awful due to Road Works, no advice prior that it is difficult to get in particularly late at night, a prior heads up that I would have to navigate the road works would have been appreciated. Also prior details of access code would have been appreciated as I had to start on the footpath waiting for someone to answer the phone. Room was ok, bed was ok but I wouldnt stay there again. I didnt see any staff so please disregard this rating. We stayed in this hotel due to its proximity to the airport as we were only staying overnight due to a mistake with flight times. We were happy to find the accommodation clean and spacious though rather dated in decor. For the price though it was good value. There was construction work going on at the time on the nearby roads but this didn't make too much noise at night and we slept well. 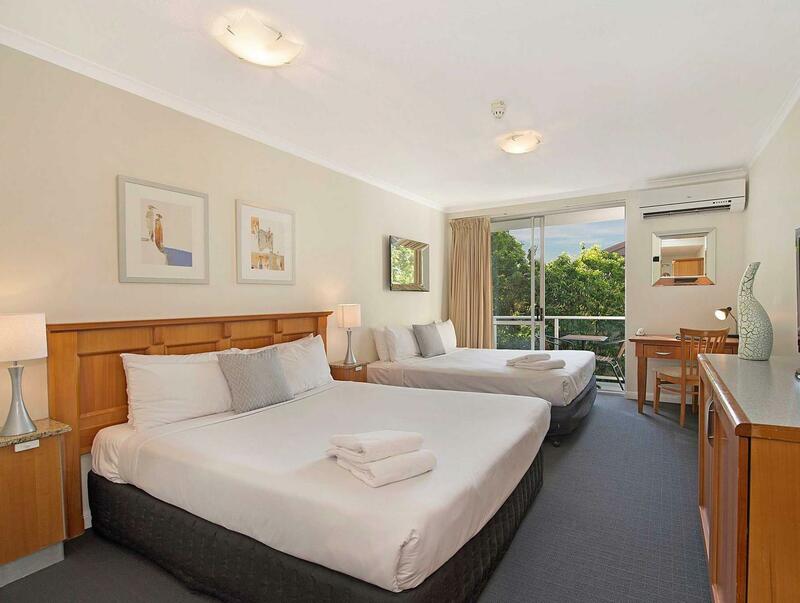 Clean and comfortable rooms, good food and friendly staff. Enjoyable stay at Airport Heritage. Although only had a quick stop over, everything was great. It may look unspectacular on the outside. But as soon as we walked in we were greeted by a very friendly, helpful and professional person who gave us the best room we have stayed in with kids for a very long time. Such a great price for four people. 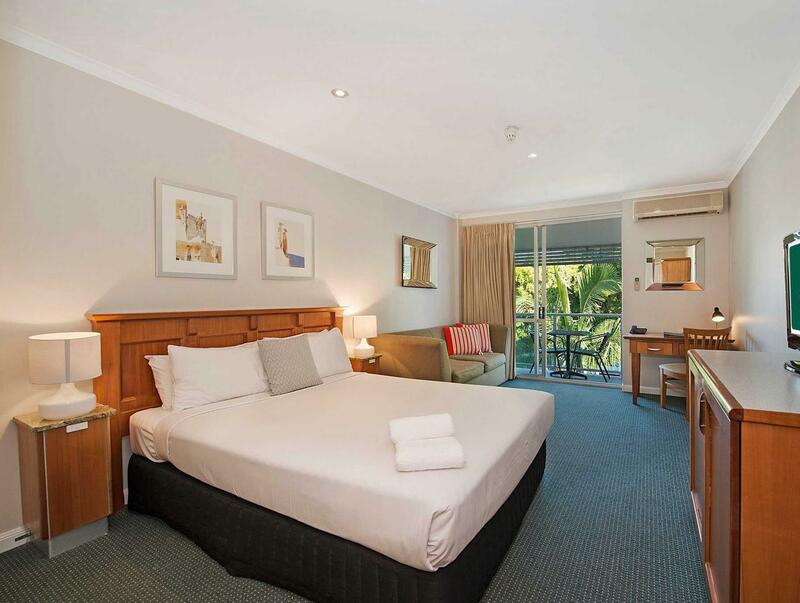 I didn't realise it was a Choice Hotel at first, but when I saw the amazing room with all the attention to detail placed where it REALLY matters I knew it was a Choice Hotel (we have stayed in a few Choice Hotels and they have all been fabulous). This place was amazing for comfort, convenience, cleanliness and has the best of what really matters. We will definitly return to this one. .Breakfast was superb....Off street parking was a plus..Staff were very helpful and friendly. Noisy by the elevator. Unmentionable Toilet sounds from room above. Restaurant closed early at breakfast & we missed out. Our stay was lovely just a pity the Restaurant wasn't open. But the location was great and we were within walking distance to other eateries. Great place to spend your last night. Got 2 rooms and both were very clean. 1 room 17 our spa did not work , the other 11 the air con didnt work on heat was very disappointed with the outcome when reception was told of our findings was not offered a discount although very appoligetic. Otherwise was very happy with the location for most needs. Close to airport, family friendly, helpful staff. Stayed here for one night, before our early morning flight. Two bedroom apartment was great for travelling with 3 small children. Staff are very friendly. There is also an excellent night food markets close by.